Why do therapists stop seeing you if you aren’t getting better? Why would a counselor stop seeing you? Sometimes the counselor will tell the client they need to stop seeing them because the client is not getting better. Why would they do that? There is one major reason and a few smaller ones why this might happen. Honestly most of the time this does not happen. We, counselors, want to think we can help people and sometimes we go on seeing them past the point at which we should have noticed that the client is just not getting any better. But if your therapist does say they need to stop seeing you here are some possible reasons why. Ethics tell us not to see people we can’t help. It is considered unethical to keep seeing a client once you realize that you are not able to help them. Once the counselor realizes this, they first look at what they are doing, is there something else I could do to be helpful? Then they consider referring the client to someone else who might be able to do something differently. Just a lack of progress on the clients part does not mean the counselor is not being helpful. Sometimes the issues the client has may require help just to keep them stable. If the therapy sessions keep the client from getting worse and ending up in the hospital that may be a reason to continue therapy even if the client is not seeing their problems get smaller. What would be unethical would be to keep seeing the client, taking their money or the insurance company’s money if the sessions were not helping the client. A new problem emerges that needs special care. Sometimes we start off seeing the client for one problem, say depression and during the process, the client starts talking about some other problem. Say the client now tells the counselor that they have a severe eating disorder then have never mentioned before. Treating eating disorders is often considered a specialty. Not all counselors have the extra training needed to be able to help you with that. So they might need to refer you to an eating disorder specialist. This should happen more often with clients who have a substance abuse issue. Unfortunate some therapists are uncomfortable talking about substance use issues. They keep on working on the depression and ignore the substance use problem. The result is that the client fails to get better. Sometimes the client wears the counselor out. Some clients get stuck in an issue. They are angry or hurt because of something that happened in their past. What they might like to do is erase the event so it never happened. That or punish the person who harmed them. The therapist wants to help them move on and get working on creating a new happy life. If the client is not ready to move on it can get tiring to listen to them. If the counselor runs out of steam in the listening department they should make the referral. I do recommend to interns that if they start feeling this way they need to talk to the client about this. It is possible we professionals get impatient and try to end treatment just about the time the client is ready to make some changes. Don’t ever stop just before the miracles happen. If the counselor becomes impaired they shouldn’t see clients. If the counselor gets sick, or they have a sick family member, then they can’t give helping you their full attention. Counselors who are going through a divorce or a custody battle may find they can’t give a client who reminds them of their ex their full attention. Other professional impairments can include excessive or problematic use of substances, drug and alcohol abuse can be problems for counselors too. You think you are not getting better but the counselor sees improvement. 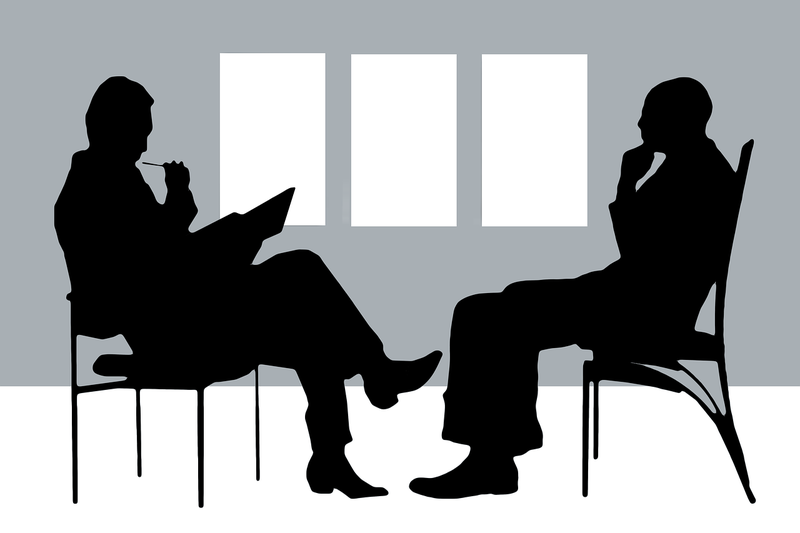 Clients can start getting dependent on their therapist. Sometimes they look forward to the weekly session so much they can’t see how they can give it up. They feel they are not all better yet. Counselors and insurance companies are not expecting you to be all better at the end of treatment. What is expected is that the symptoms will be reduced till they no longer interfere with your ability to work, have friends or family relationships. If your symptoms seem stable, the counselor may decide that they can’t justify billing your insurance anymore and that means they need to terminate therapy with you or you will have to pay yourself. Even in this circumstance counselors may need to revert back to point 1. When does the counselor’s seeing you become more for them, to make a profit, than for you? Those are some of the reasons a counselor may say they have to stop seeing you, they may be others in particular cases. Hope that helps explain the process. This entry was posted in Law Ethics & Practice, Recovery and Resiliency and tagged By David Joel Miller, Counseling, emotions feelings, Licensed Therapist & Licensed Counselor, Mental Health, self-esteem, Success and Failure, Therapy by David Joel Miller. Bookmark the permalink. Reblogged this on Therapy nut loops.. Thanks for reading and thanks for the reblog.